The National Student Survey has launched today (Thursday 07 February 2019). If you’re a final year to have your say on your University experience and feedback to a national survey. If you are a final year you should have already received an NSS email to your @soton.ac.uk address. 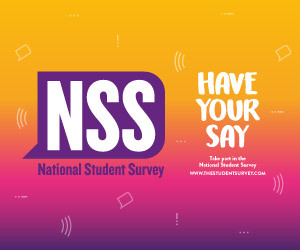 This includes a personalised link to the NSS survey, and will save you time completing it. Alternatively, you can visit www.thestudentsurvey.com to complete the survey.